Ethical hacking and ethical hacker are terms used to describe hacking performed by a company or individual to help identify potential threats on a computer or network. In the computer security context, a hacker is someone who seeks and exploits weaknesses in a computer system or computer network. Hackers may be motivated by a multitude of reasons, such as profit, protest, challenge or enjoyment. Get information security training and become a certified ethical hacker. 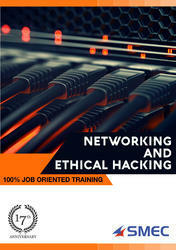 Offering professional program with certification on ethical hacking. Each Divine Solitaire is a pure natural diamond and free from any artificial treatments. Divine Solitaires ensures that you are guarded against any unethical practices and you get maximum value for your money. MSS Expert Team Training provides an effective solution that develops, builds and maintains an expert team of practical, real world skilled expert Cybersecurity warriors within your organization. Ensure you can meet today's MSS challenges by empowering your personnel to protect against the latest in MSS threats.